The AWT6202 is the third generation GSM PowerPlexer TM. It has been developed to minimize time to market for GSM handset and PDA designers. By Anadigics, Inc. 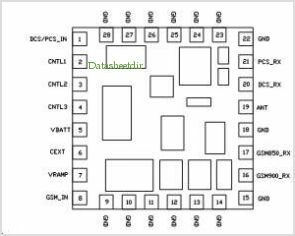 This is one package pinout of AWT6202,If you need more pinouts please download AWT6202's pdf datasheet. 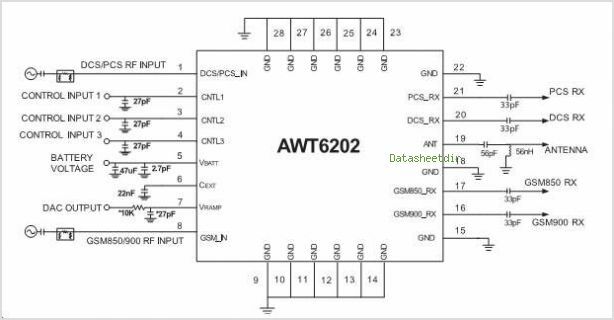 This is one application circuit of AWT6202,If you need more circuits,please download AWT6202's pdf datasheet.